MENLO PARK, Calif. –– Earthquake early warnings can come as false alarms — but it’s better to be safer than sorry, researchers concluded in a new study. Scientists at the U.S. Geological Survey, the University of Southern California and the California Institute of Technology worked on a research project to determine the limits of the accuracy of seismic warnings. They conducted a statistical simulation to determine what strategy would be the best to save lives and protect the economy _ is it better to get more warnings but also more false alarms? Or is it better not to receive an alert unless it's certain there will be shaking, even though that might cause you to miss a warning? People might have their own answers. But the scientists decided to take a different tack to address the dilemma: math. In research detailed in the journal Scientific Reports, the scientists simulated tens of millions of hypothetical earthquakes in California. They imagined how forecasts made by an earthquake early warning system would compare with how shaking might be felt. First, they found no way to have an earthquake early warning system that is 100 percent accurate. It’s scientifically impossible. Earthquakes that produce the same amount of overall energy _ those that have the same magnitude _ can produce much different shaking. Shaking may feel different depending on whether the energy is aimed toward or away from you. One earthquake could produce intense shaking for a short time; another of the same magnitude could shake slower, resulting in a less severe roll. And the earth's movement could feel less intense on solid bedrock but worse on soft soil. Second, the scientists calculated that any particular California location had the chance of feeling an earthquake — a minimum of light shaking — just twice in a decade. Their key finding: An early warning system that gives you an excellent chance of being alerted to those twice-in-a-decade earthquakes will likely deliver four warnings that turn out to be false in that same time. "It's a small price to pay if you're talking about something where there's a lot of benefit to be had," said research geophysicist Sarah Minson. For example, a potentially deadly derailment could be avoided by slowing a train before the predicted shaking will arrive, said Minson, lead author of the study. On the other hand, if your priority is that any warnings you receive are almost certain to precede shaking, you're far more likely to get no warning at all. For some, the choice will be obvious. There are costs to inaction before a big earthquake: You don't drop, cover and hold on and an unstrapped bookcase tips over and flattens you. A dentist is unable to remove the drill from a patient's mouth before to the shaking. A butcher doesn't have the chance to move away from the deli slicer. Power company workers aren't warned in time to hang on to a utility pole. In those cases, it’s an easy call to choose an early warning even if it means no shaking comes. When shaking is relatively light, seconds of warning still may provide a sense of comfort for some. There are situations in which it may not be prudent to act on a seismic warning, given the high cost of action during a false alarm. Starting an emergency shutdown at a nuclear power plant when an alarm sounds probably doesn't make economic sense "because an emergency shutdown costs more than $250 million, not including other costs such as the resulting decrease in the lifetime of the reactor," the study said. Seismic warnings can be difficult to calculate because earthquakes all start the same _ tiny. Although many stay small, a few do end up being monsters. Consider the hypothetical example of an earthquake that begins moving along the San Andreas fault near Eureka and heads toward San Francisco, about 200 miles south. Four seconds after the shaking begins, the earthquake is measured at magnitude 6. If the quake stopped there, San Francisco likely wouldn't feel a thing. 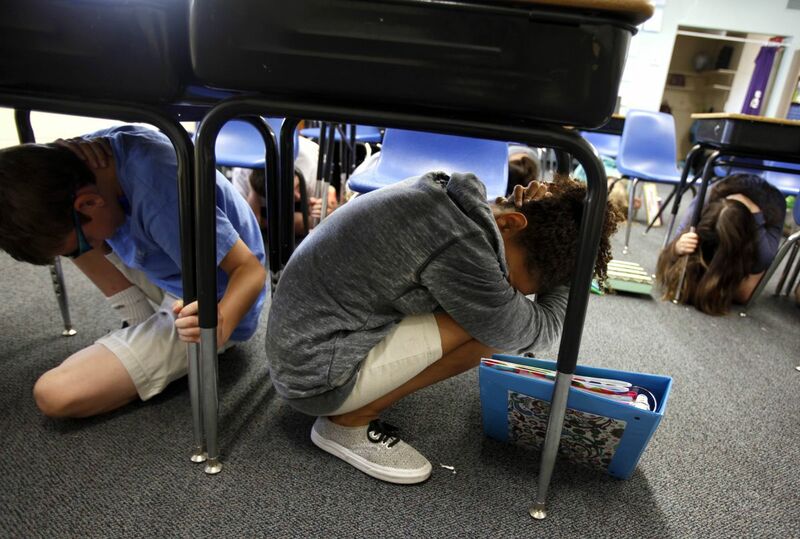 But if the quake lasts at least 20 seconds or so, becoming a magnitude 7, San Francisco could feel at least light shaking and would have maybe 48 seconds to prepare for it, Minson said. But say someone wanted to get a warning for only very strong shaking in San Francisco. That kind of quake would have to last at least 67 seconds, meaning it has produced enough energy that it has become a magnitude 7.7 earthquake. Waiting for that level of certainty and severity before an alert is sent would give San Francisco only eight seconds to prepare. The USGS has been building an earthquake early warning system on the West Coast for years, and the system is most advanced in the urban areas of California, particularly in the Los Angeles region and San Francisco Bay Area. After an influx of federal and state funding, officials hope that by 2021 all 1,115 seismic sensor stations intended for California will be online. The study was co-authored by Annemarie Baltay, Elizabeth Cochran, Thomas Hanks, Morgan Page, and Sara McBride of the USGS, Kevin Milner of USC, and Men-Andrin Meier of Caltech.